Dagmar Brightbane says he can still remember having only a suit of leather armor, an iron dagger, and 135 gold pieces to his name. WINDHELM, SKYRIM—Having completely filled out his skill tree, obtained every unique item, and successfully completed each quest and subquest within the expansive virtual world of The Elder Scrolls V: Skyrim, fully leveled-up video game character Dagmar Brightbane this week fondly reflected on his substantial accomplishments within the fantasy realm, marveling at just how far he's come. 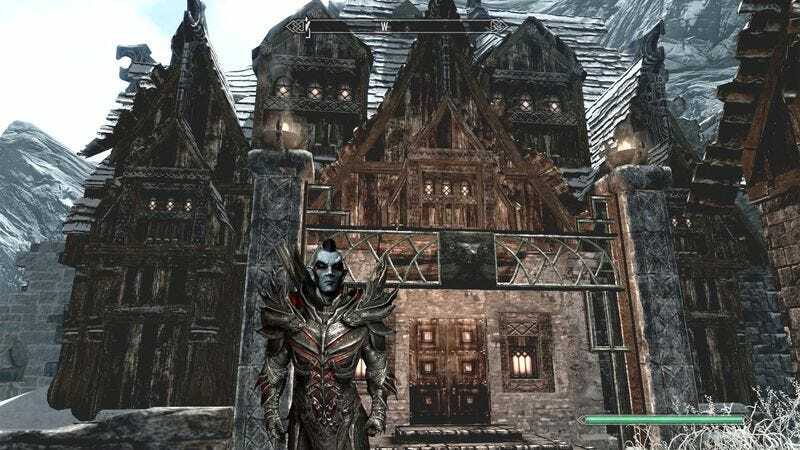 Brightbane, who has attained every possible character perk and collected each of the 24 Stones of Barenziah, said that such achievements today serve as a reminder of just how wet behind the ears he was when he first arrived to the small hamlet of Helgen as a captive prisoner without a gold piece to his name. The sorcerer reflected with nostalgia on his carefree days as a low-level dungeon crawler, long before he had used a combination of training, skill books, and “real-world living” to max out his abilities in all magic, combat, and stealth categories. However, Brightbane emphasized that such advancement didn’t come easily, pointing to long stretches of power leveling that he said were “essential” to his character development. Additionally, the dark elf stressed the importance of the countless hours of trial and error he spent hunting down a particularly valuable silver jeweled necklace of shock suppression, saying this challenge gave him a newfound appreciation for the rewards of hard work, as well as an additional 50 percent resistance against lightning attacks. “I guess my success just goes to show the value of experience,” he continued. However, Brightbane admitted that, at his advanced level—with the Stormcloak Rebellion ended and the Dark Brotherhood long having been destroyed—his ongoing adventures in the land of Skyrim lately have become somewhat tedious.